Lumon's balcony is suitable for new and renovated projects. 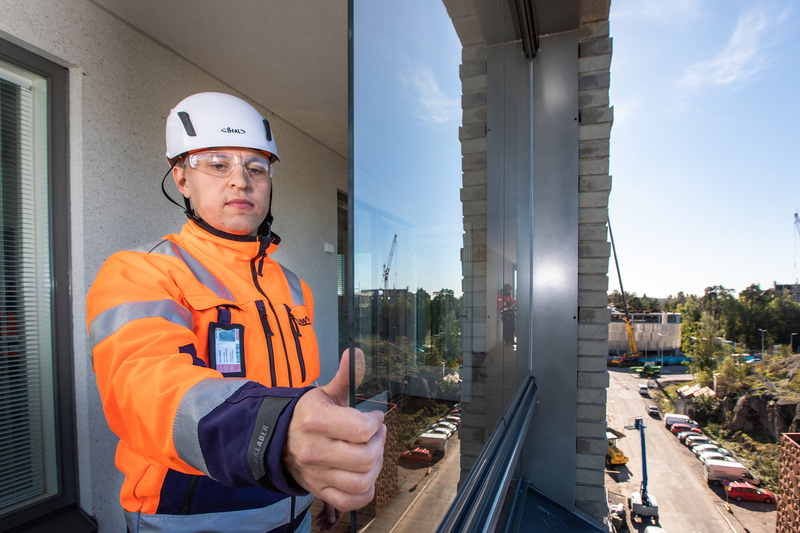 As a contractor, you can rely on Lumon as a partner from the early project design stages until the end, as our solid expertise in glazing design from installation to installation has been refined into a diamond process over the years. Our end-to-end processes ensure a successful end result. With us, contractors get easy, because we manage the balcony facade for our customers from design to installation. Smooth site logistics and responsibility for occupational safety are important to us. We also offer a comprehensive warranty and service service for our products. In 2018, more than 800 projects were implemented at Lumon. We have been actively involved in our customers' projects since the project design and we are a comprehensive partner for contractors. Our solid experience, from the design of the project, ensures the cost-effectiveness and a successful outcome of the project. Our starting point is building long-term customer relationships. High quality, durable and easy-to-use products make it easy to do this. Smooth site logistics is an essential part of contracting. We ensure that the product is delivered to the customer in a timely manner and that the product package is intelligent, space-saving and weather-packed. We have designed our work on the site so that it can be exported quickly and efficiently from start to finish without compromising on quality. We hold ourselves to a high level of standards and commit ourselves to the timetables set and pay meticulous attention to occupational safety. Our way of working at the site has been developed to meet our customers' demands for site logistics, work efficiency and occupational safety, which allows us to promise a more efficient order delivery process than ever before. We also bear our responsibility for our products throughout their life cycle. This can be seen in the fact that we want to make sure that every site finishes smoothly in the agreed schedule. We care about the project and we offer complete service to ensure a safe, efficient and durable installation product with expert advice and quality checks. Primary care for glazing is recommended after the first five years, after which the maintenance interval is five years. 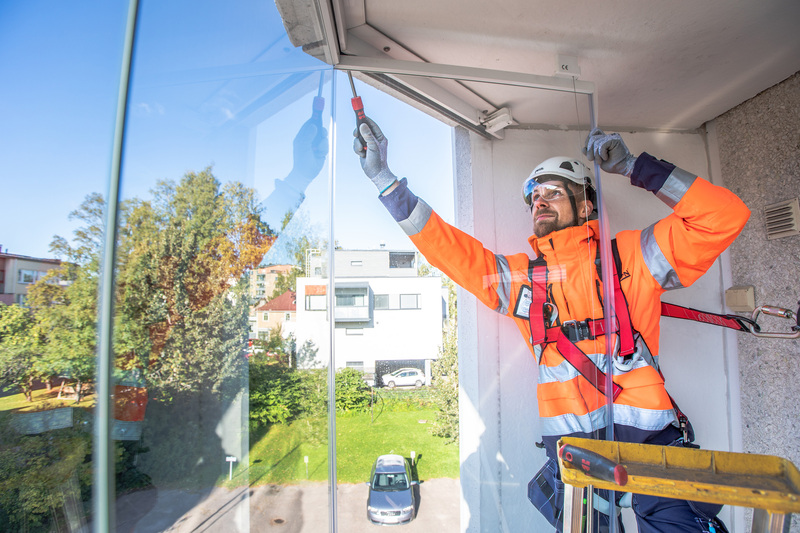 Thanks to our safety, you bring more warranty time to glazing. We have long experience in various new and renovation projects. 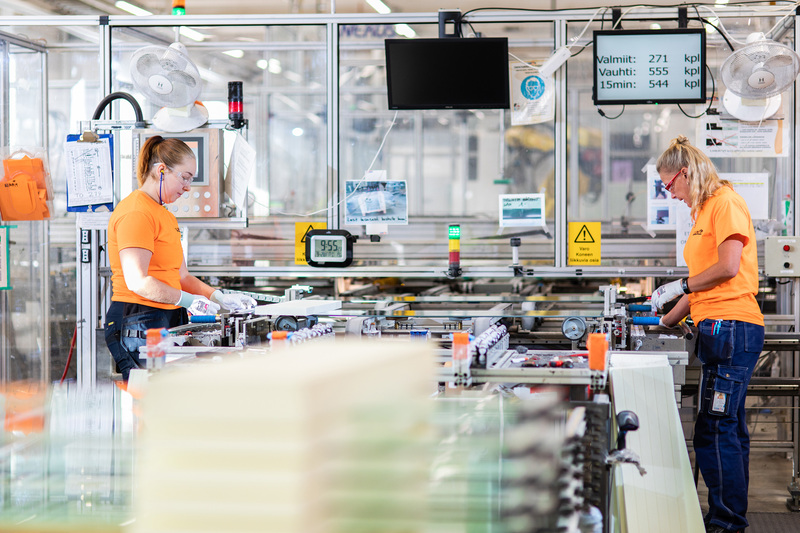 Over the years, we have also automated a significant part of our processes to achieve the best possible quality at every stage of the work. Learn more about how we work in new construction or renovation. From the very beginning, we have believed in our own design and product development, as they bring a lot of mutual benefits both to us and to the contractor. We all have our own hands: product development, design, sales, manufacturing, installation and after-sales service. Uncompromising quality and continuous product development are the pillars to our the successful outcomes. 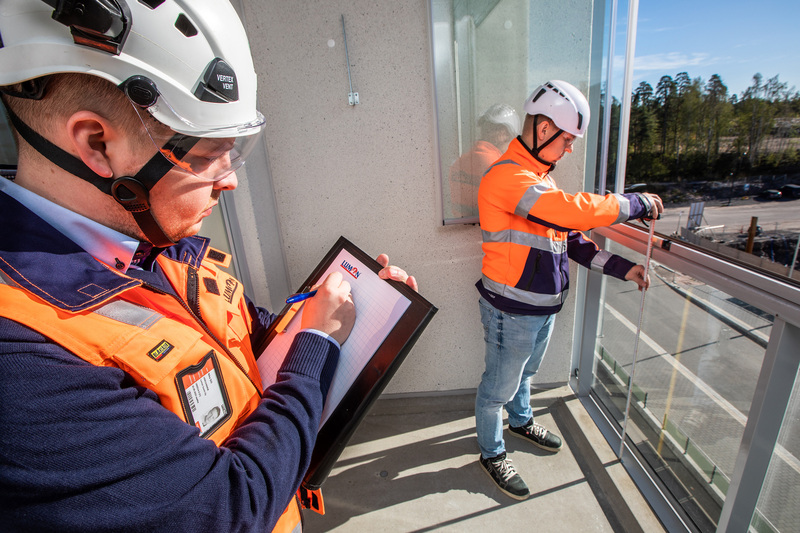 Lumon is a forerunner in balcony glazing, and our own R&D department keeps us at the forefront of development by providing the right solutions for today's construction requirements. Our products offer a smart product package for both new and renovation projects. 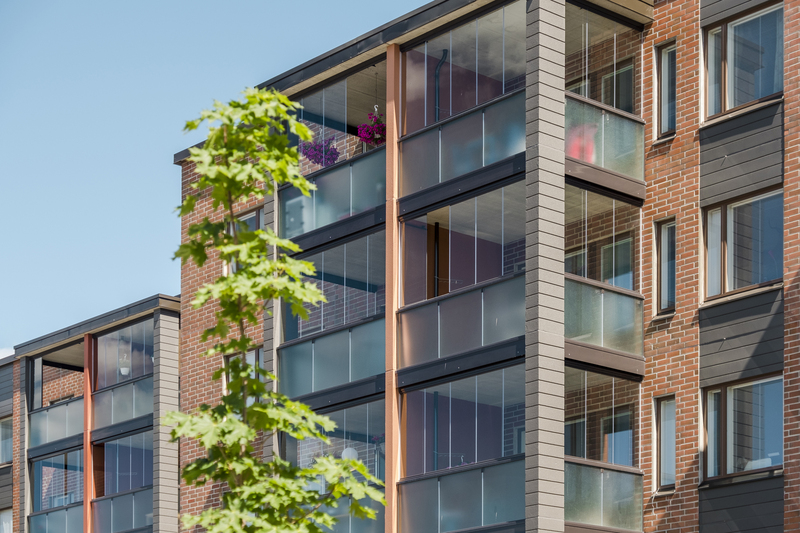 Our balcony facade is suitable for both the 60's and the modern new property.